Unfortunately the new season’s sunlight may also show up dust, dirt and stains that have accumulated over the winter. Its now time to spring clean, get rid of the cobwebs and start your annual spring clean, but where do you start? Washing down paintwork, de-cluttering and dusting are a good place to start for most people but what about your carpets and soft furnishings? Well don’t be tempted to try to clean your carpets and soft furnishings yourself. While the “do-it-yourself” approached may appear to be less expensive it is never as effective as professional cleaning and will involve a considerable amount of time and hard work . It is also very easy to make mistakes resulting in costly and irreparable damage. Here are three good reasons why you should never attempt to clean your carpets soft furnishings yourself. Failure to remove all the soiling – domestic and hired carpet & upholstery cleaning machines may get some of the dirt out but the key word here is “some”. They will not remove all the dirt, grease, allergens, dust mites or deep-down contaminants that can cause your carpets and soft furnishings to wear out prematurely. Over wetting – a common issue with domestic and hired carpet & upholstery cleaning machines is that the item becomes too wet, extending drying times and potentially damaging the item. Mould and mildew problems may result (another cause of health issues) if the item takes a long time to dry. Other potential issues of over wetting are shrinking, dye bleed and damage to the look, feel and texture of the item. Failure to rinse properly – most domestic and hired carpet & upholstery cleaning machines will utilise a detergent and it is extremely common for the items not to be rinsed properly (leaving chemical residues behind). These residues rapidly attract new soiling to the fibres and fabrics. More worryingly, however, un-rinsed chemicals can be detrimental to your health and well-being, causing rashes, breathing problems and worsening existing allergies. So when its time to spring clean by far the best way to retain the appearance of your carpets and soft furnishings, and extend their life, is to have them regularly deep cleaned by a professional carpet and upholstery cleaning company with the equipment and skills to do te job properly without causing damage. If you would like help or advise to get your carpets and soft furnishings spring cleaned please do contact us! We offer a professional carpet clean service across the Bristol and South Gloucestershire area. We also clean all types of soft furnishings including sofas, suites, armchairs and dining chairs. 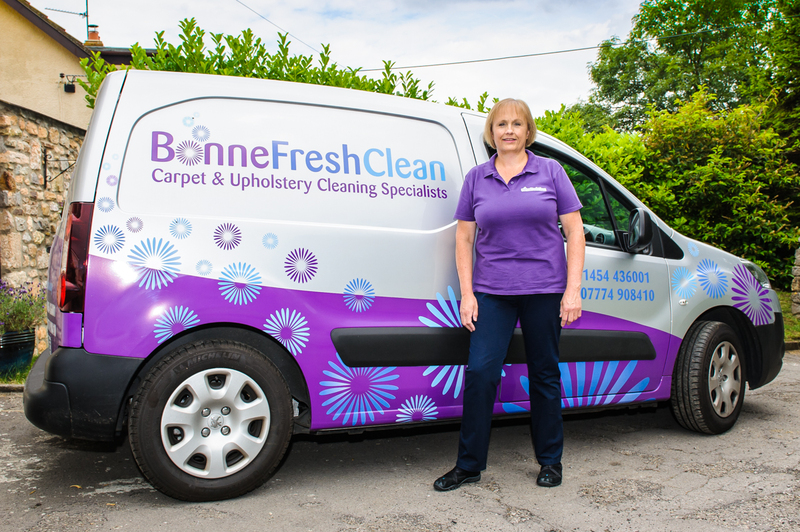 Bonne Fresh Clean cover Bristol, Thornbury, Chipping Sodbury, Yate, Westbury-on-Trym and all areas of South Gloucestershire.